I’ll never forget the day I thought our 3 year-old was missing. We searched, called her name, and even drove around the block. “What if someone took her? What if she’s hurt?… “ Those thoughts closed my throat and chilled my veins. After what seemed an eternity, I finally found her crouched down in the back of her closet. When I asked why she didn’t come when I called, she said, “I was playing hide-and-seek.” Our weak laughter was all nerves and we’ve never hugged her - or each other – so tightly. I’m sure most parents have a story like this one; an incident we can point to and remember the pounding heart, heightened focus, and muscle tension that we all feel in moments of crisis – even if many years have past. This short-lived, acute anxiety is normal, and even good for us. When we might need to fight, escape, or yell for someone’s life, the physiological symptoms are actually helpful, necessary, and by design. However, we weren’t meant to live like that. Our body and mind suffer when we live in a heightened state and anxiety becomes chronic. Chronic anxiety is difficult to diagnose. Often, there isn’t one thing we can point to as the source of our stress, or one thing that’s clearly wrong. It’s a quiet disease that sneaks into our system, takes many forms, and causes a slow-drain of our energy, confidence, and joy. Sound familiar? Chances are, this describes you or someone in your family. Chronic anxiety is an epidemic. According to the National Institute of Mental Health, more than 25% of all kids between 13 and 18 are affected by anxiety disorders. This alarming trend reveals our growing need to recognize and respond to the chronic anxiety that’s taking a toll on our families. We’ve invited Margaret Kileen to help us do just that. Margaret is a Licensed Professional Counselor who works with teens and adults to deal with anxiety issues and depression. 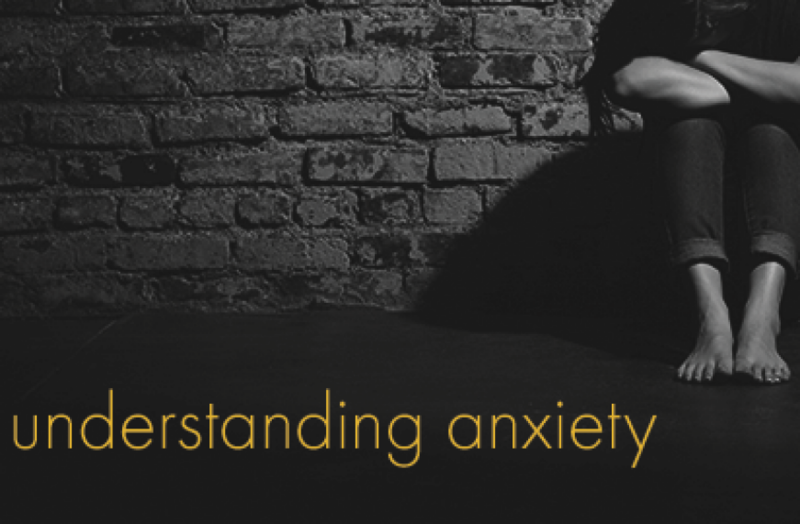 In her experience, Margaret believes chronic anxiety breeds avoidance and it takes faith and courage to enter into what is difficult and fight it head on. We are so grateful for Margaret’s expertise and for her willingness to guide us during a three-part seminar on Jan 11, Feb 8, and March 8 from 6:30 – 8pm in the Student Center. There is no cost, but your donations are appreciated. Parent and grandparents will have the opportunity to hear from Margaret and pose specific questions. We’ll learn calming strategies for ourselves and our children, and how to know when to seek professional help. Mark your calendars today and invite a friend. And please register HERE so we know how many to expect (this eases our anxiety, you know… ). Let’s take this step together toward a healthier, more-joyful New Year. It doesn’t take anyone very long to figure out that music plays a prominent role in the church. When believers gather in community for worship, we spend time in prayer, we learn about the transformational truths of the Gospel through preaching, and we sing our faith in songs about the Lord. There are not a lot of other places in our culture where groups of people sing songs together (aside from sporting events and birthdays), yet church services are filled with song. Where did we get this idea from, and why do we bother with it anyway? If we look at the bible, we’ll discover it’s replete with songs. From Genesis through the Psalms to the canticles in the Gospels to a vision of heavenly worship in Revelation, the bible tells us that the people of God have always been a singing people and have recorded their divine inspiration into scripture. Singing was key in the early church and was re-prioritized and re-vitalized as a congregational practice in the Reformation. Martin Luther described the high value he felt belonged to music when he said “The riches of music are so excellent and so precious that words fail me whenever I attempt to discuss and describe them.... In summa, next to the Word of God, the noble art of music is the greatest treasure in the world.” Indeed, every major Christian revival has come with a new repertoire of music, from the German Reformation to the Great Awakening to the modern day. 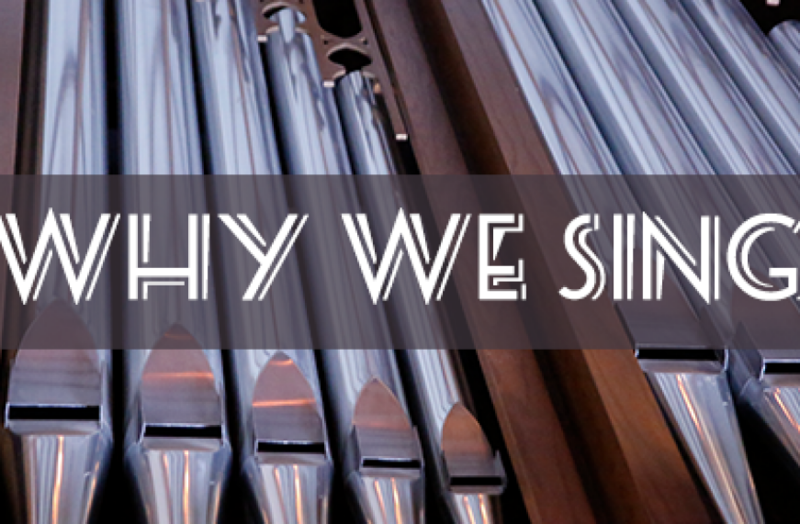 To paraphrase modern hymnodist Keith Getty, Christians sing- it’s just part of what we do. Just over a month ago, I attended a gathering of 3000 musicians, church worship leaders, pastors, and other people who care about the music of the church just south of Nashville, TN. This conference was sponsored by Keith and Kristyn Getty, and included speakers Alistar Begg, D. A. Carson, Paul David Tripp, David Platt, Joni Erickson Tada, and many more. Times of musical worship filled the event as well, led brilliantly by the Gettys and their band, as well as other musicians from the classical and contemporary worship worlds along with a 200-voice conference choir that I was privileged to participate in. Topics ranged from broad theological concepts about singing and worship to how singing impacts us personally and in our families to the role it plays as a witness to the world. What was most impressive, however, was not how brilliant the speakers or how great the music was, but how the focus kept being put back on the people of God singing together. Indeed, the whole conference ended with 3000 people singing ‘Holy, Holy, Holy” together in 4 (or 400) part harmony, without any instruments at all. Just people singing. It is a powerful memory that I will have with me for years to come. Our songs are important- that we sing and what we sing (the gospel) is a higher priority than our favorite songs, preferred style choices, or vocal ability. Keith Getty himself reminded us that God created us to sing, God commands us to sing in the bible (for our own good), and God compels us to sing in response to his revealing himself to us. The songs we sing we carry through our lives- from times of greatest joy to times of greatest sorrow, from our childhood to our final days. I pray that you capture that joy each and every time we sing. I’m very excited to have Keith and Kristyn Getty in concert with their band here at Central on Sunday November 5th. They are energetic, brilliant performers who blend their hearts for the Lord with their Irish heritage and love of tuneful melodies. I’m excited for our church family also because our Chancel Choir and the choir of Central Christian School will have the honor of singing with the band on the concert. But I’m most excited because of the songs themselves: they are written for you, that they can be an encouragement for your faith, and we can all share in this joy together. As of October 26, tickets are still available for "Facing A Task Unfinished" with Keith and Kristyn Getty November 5 at Central. Click here to purchase tickets. As we watch the scenes of city of Texas and Florida submerged in the deluge of hurricanes and Mexico digging out from a ferocious earthquake (and all in the same month! ), at some point we can hardly help wondering “Why?” Why does God allow events like this to occur? This is a hard question because it has many layers, both emotional and intellectual. In order to ground our faith and to respond in a fully appropriate way, we not only need good theological reflection but also personal comfort from God and the people of God. Thus, I only offer these reflections below as a beginning of some answers to the intellectual side of our distress. A full and proper response requires bringing these questions, doubts, and pain directly to God in prayers of lament, just as God invites and teaches us to do in the psalms. And we also need to bring our questions, doubts, and pain into our relationships with one another for conversation, counsel, comfort, and encouragement. This is why it is folly to read specific theological lessons or warnings into specific disasters. In the aftermath of nearly every major disaster, it seems that various religious leaders confidently declare that the catastrophe was divine judgment on the nation, the church, or some specific group of people, for a particular sin or offense. These attempts are spiritually presumptuous and rash because they claim knowledge of God’s will and purpose that we cannot possibly know. Prophets in the Bible were able to declare the theological meaning of disasters in some circumstances because they received revelation that provided a divine perspective and interpretation. But today we have no such revelation about particular evils; rather, we have God’s final and ultimate word to us in the person of Jesus Christ, who reveals God’s intent and power to overcome evil and rid his creation of evil and its cursed effects. In light of God’s ultimate word in Jesus, we face events of great suffering with humility about our limits in knowing their meaning but also with confidence in what God has revealed to us. God’s revelation does give us some general truths to help us understand some aspects of evil and suffering. We know that some suffering exists because human beings make terrible choices to rebel against God, and human sin has unleashed chaos, pain, and suffering into the world that compounds and multiplies in unexpected and horrible ways. Beyond the sphere of human decisions, we also know that there are demonic spiritual forces at work in our world to create chaos and distress. Moreover, in a fallen world, God sometimes chooses to use the occasion of evil and suffering as a context to bring about great good in making our desperate need for God very clear and for moving his people to care and serve in ways that display God’s self-sacrificial love and compassion with great clarity. (I am not saying that God is the direct cause of evil in a way that makes him morally culpable; rather, I am only claiming that God sometimes brings good out of evil and painful circumstances). But none of these general truths explains every instance of kind of evil (by far), still less why God allows a particular evil to befall a particular person at a particular moment in history. We just don’t know. It seems that this is one of the major lessons of the book of Job. 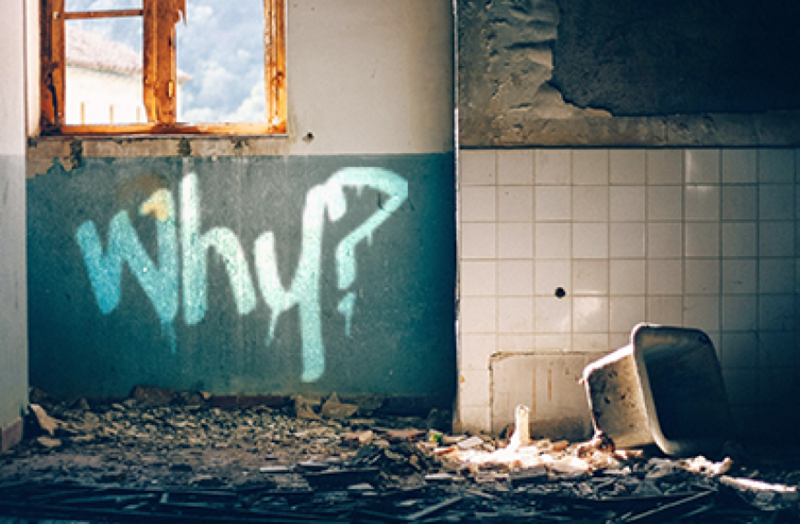 Job demanded an audience with God and an opportunity to pose questions about his great suffering and to lament his anguish to God, and God gave him that opportunity. In response to Job, God did not offer specific explanations. Rather, he reminded Job that there was much about the world that he did not understand, and yet he was nevertheless able to accept those limitations and continue trusting God on the basis of what he did know about God. He shows us how he has dealt with evil and suffering in the past, which can comfort us by assuring us of God’s good character and power. The supreme historical events that show us God’s response to evil and suffering are Jesus’ death and resurrection. Jesus’ death shows us that God is not aloof or coldly distant; on the contrary, God has taken the full consequences of human evil upon himself. He has entered fully into our suffering and broken world, and he therefore can sympathize with us with complete understanding and full compassion (Hebrews 4:14-16). In addition, Jesus’ resurrection shows us that God is not conquered by evil but rather that he has the power and the set plan and purpose to conquer all that opposes his good plan for creation, even death itself. In the present, God gives us himself. He gives us the comfort and strength of his own presence, dwelling in us personally by his Holy Spirit and working in us through others in the church. If we entrust ourselves into God’s hands by trusting Jesus Christ, we have what David describes in Psalm 23: a Good Shepherd who walks with us in the midst of the valley of the shadow of death and in the midst of enemies. This is not an intellectual answer about specific evil events; rather, it is the assurance of God’s active, personal presence and relationship with us. God promises that he will truly carry us, comfort us, and strengthen us to love and serve him, even in the midst of great pain and suffering. God points us toward the future with well-grounded hope that he will bring a final judgment and end to all sin and its curse throughout the whole creation (see Isaiah 25 and Revelation 21). God will conquer evil and cleanse his whole creation from its effects and its very presence, and we know this because this future victory has already started in the historical event of Jesus’ resurrection. I know of no other religious or philosophical worldview that can provide greater truth and better resources in understanding and responding to evil in our world. God has not given us answers to every specific question about every specific evil, but he does give us knowledge and strong personal assurance that he has entered our suffering fully, that he is personally present with us in the midst of it, and that he will one day conquer evil completely. So what does a Christian response to evil and suffering look like? It looks like turning to God and his word for truth to remember, for prayers to cry out in lament, for promises to trust, and for the experience of knowing God’s personal presence by his Spirit. It looks like turning to one another to offer and receive patient listening, dialogue about doubt, empathy and comfort in pain, and persevering prayer that holds each other up before the Lord. It looks like joining our crucified and risen Lord in working together to push back against the effects of evil in our own lives and the lives of others.